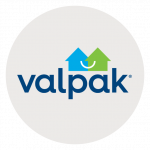 Valpak of Greater City Kansas direct mail can open up new neighborhoods for your business. The affordable, flexible print formats in our Blue Envelope – from single-panel coupons to circulars – take your brand message further in Kansas City and surrounding areas. Your Kansas City franchise can also create a budget-friendly digital marketing solution for your business. Get a BPP (business profile page) on valpak.com and custom website, if you need one, built with responsive design practices that ensure it’ll look great on any device. Stay in control of your marketing ROI with Valpak of Greater Kansas City’s performance dashboard and call tracking features. Monitor clicks and calls that result from your printed piece and digital ads. This affords you better proof of performance and the power to manage your local advertising efforts to maximize your return. Contact us today to reach as many as 450,000 qualified households in Kansas City, MO, Kansas City, KS, Topeka, Olathe, Lawrence, Independence, Lee Summit, Blue Springs and Shawnee. For specific dates and coverage, contact your Valpak of Greater Kansas City representative.